Since there is no airport on Aegina, you’ll need to take a ferry. Your easiest bet is to take the ferry from Piraeus, which is close to the Athens Airport. There are buses and taxis that make the trip from the airport to the port on a regular basis. 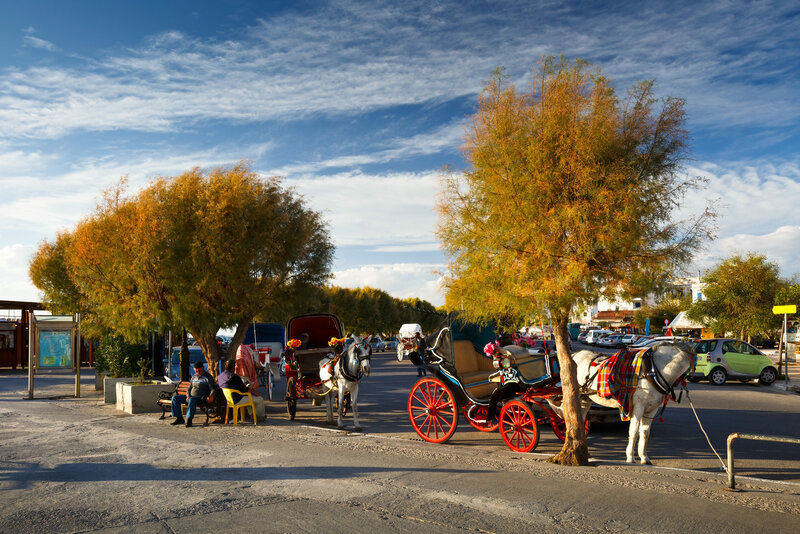 Once you arrive at the port in Aegina, you’ll be able to make your way to your hotel by taxi, bus, or rental car. If you know you are interested in visiting Paleochora, you might want to book a hotel that is nearby. Otherwise, since the island is fairly small, you can always hire a taxi or drive from any point on the island without too much trouble. One of the things that sets Aegina apart from other islands is the fact that it has a strong Byzantine presence and this is evidenced in its architecture. Paleochora, which literally means “Old Town” in Greek, has strong ties to Byzantine Empire and reached its height during the Medieval time period of Europe. This means that it is a fine example of a typical Byzantine village. 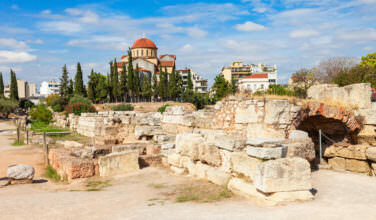 There was a time when this village was considered to be the capital city of Aegina. However, this is no longer the case. The Monastery of Agios Nektarios and several churches are located here. Both of these sites are worth visiting. Basically, Paleochora is all that’s left of a village that reached its height during the Byzantine Era and was abandoned permanently in the 1820’s. Paleochora is one of those villages that offers visitors a glimpse into what a place from the Byzantine Era looks like. It’s referred to as a “Medieval” village, but in truth, it’s history is much older than that. Old buildings dot the countryside and since it is close to a monastery, there are also a lot of churches. A total of thirty of these churches have survived and you can easily spend your day wandering the hills visiting every single one of them. All of them are fine examples of Byzantine architecture. Although there are no longer people living here, it’s fun to come here to wander through the hills and catch a glimpse of a part of Greece’s past. It’s also incredibly scenic so you’ll want to bring your camera to photograph the buildings, scenery, and the many wildflowers that are present here. 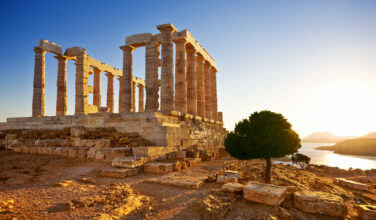 While on Aegina, you won’t want to miss the chance to visit Paleochora!